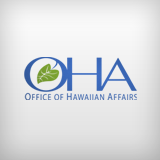 Ke Keʻena o nā Kuleana Hawaiʻi (Office of Hawaiian Affairs) published three directories in the 1990s that reflected the commitment of the trustees to identify and advocate for those who were perpetuating the Hawaiian culture. These directories will comprise the development of a national database of the cultural assets and resources available to the Hawaiian people and as such serve to encourage continued appreciation for, participation in, and support for the traditions of our kūpuna. Ola nā iwi: directory of Hawaiian artists and cultural resources (1995) – The intent of this publication was to provide increased visibility to those who perpetuated the traditions, culture, and skills of our Hawaiian people. Some of the cultural areas included were carving, featherwork, haku mele, kapa, kapa kuiki, lāʻau lapaʻau, lei, limu, lomilomi, ʻōlelo Hawaiʻi, oli, and weaving. Kū mai ka poʻe hula: directory of hula resources (1996) – Since its publication, the directory has suffered the losses of kumu hula Hoakalei Kamauʻu, Mae Ulalia Lobenstein, Edith Kawelohea McKinzie, Puluelo Park, Kini Sullivan, and Aloha Dalire. In addition to current kumu hula, those who made hula instruments were also invited to submit applications for listing. Also listed were those festivals and competitions that highlight and foster the art of hula. Nā lima mikioi: directory of weavers and fiber artists (1997) – The majority of those who submitted applications for listing were lauhala weavers like the late Lily Nunies; however, kapa, ʻieʻie, and cordage artists also applied for listing. To request a survey questionnaire for future listing, contact Kalani Akana, OHA Cultural Specialist at 594-1844 or kalania@oha.org. Although entries are submitted voluntarily, OHA would like to urge for community identification of those keepers and perpetuators of culture in their own communities.